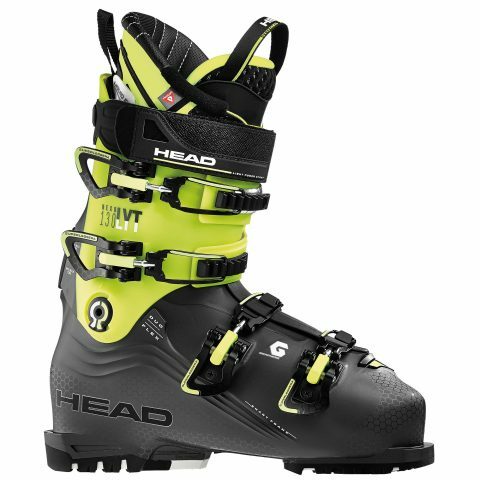 The Head Nexo Lyt 130 Ski Boot is a go-to boot for performance skiers. A lightweight design and Smart Frame shell, combined with a Perfect Fit 3D Evo Custom liner and Liquid Fit technology give the highest levels of comfort and best possible fit. A featherlight and strong Graphene-infused shell makes these alpine boots feel agile and responsive under your feet. Not only do they use the utmost in high-tech materials, they also use Head’s revolutionary “Liquid Fit” customisation system, a gel that gives you customised injection moulding for an impeccable fit.